Ofuro Soaking Tub 2 - Modern - Bathroom - Other - by Baucos Group, LTD. CO.
Ofuro Soaking Tub – Stainless steel. 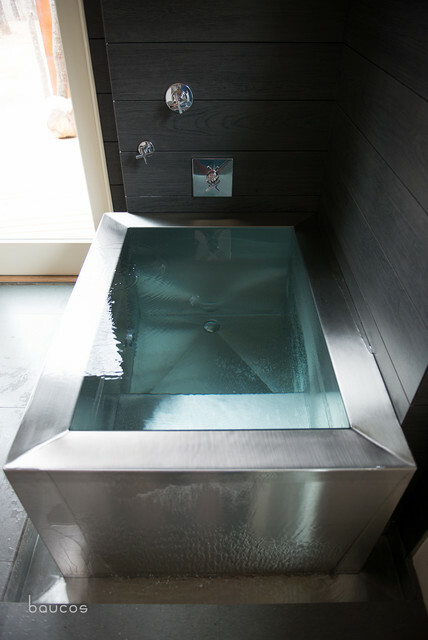 Our original design boasts an infiniti rim tub, stainless steel construction, and floor level infill. Each is designed and fabricated to exacting project specific dimensions.